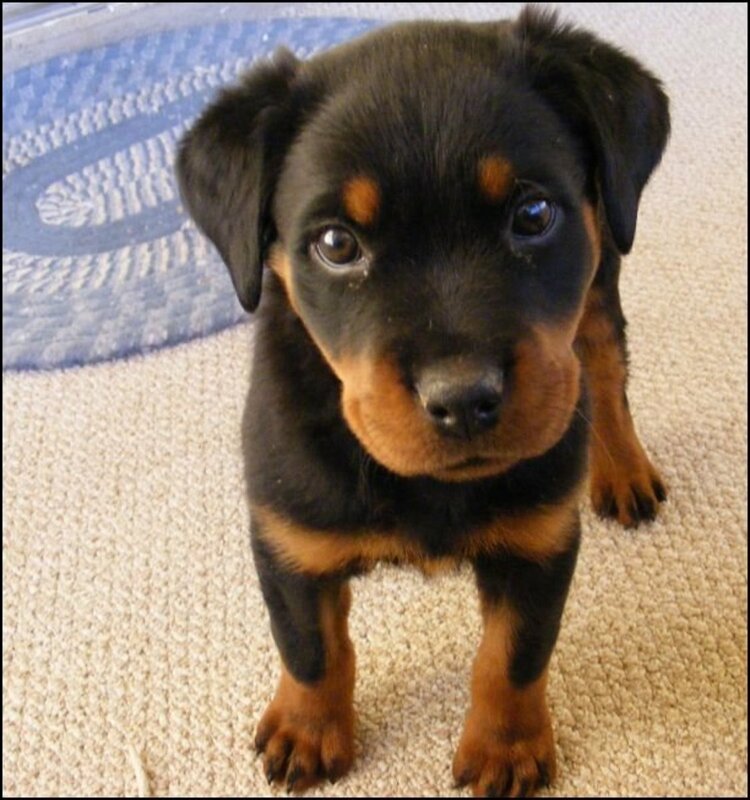 Many different dogs and dog breeds are prone to ear infections. Breeds differ in the shape of the ear and the ear canal; in the amount of hair in the ear canal; and in their tendency to allergies. Neither dogs with long ears nor dogs with short ears are predisposed to ear infections. Yes, some studies have shown that long-eared dogs can have more humid conditions in their ear canal, which can lead to an infection. Nevertheless, the breed of the dog is more important than the size or shape of the ear, or whether the ears are hanging or erect, in determining whether a dog is prone to ear infections. Because an ear infection can cause a great deal of pain, discomfort, and stress for your dog, you should know what the signs are so that you can watch out for them and have your dog diagnosed and treated early. A dog with an ear infection may shake his head or ear more than usual; some will scratch and paw at their ears, or rub the sides of their head on the ground or other objects. You may notice a smell, or a yellow or black discharge coming from the ear. You may also notice swelling or redness on or around the ear flap and canal. You may also notice a change in your dog's behavior; because an ear infection can be painful, your dog may become depressed or irritable. Does Cropping Ears Prevent Ear Infection? Some people believe that ear cropping will prevent ear infections by keeping water from building up between the flap of the ear and the ear canal. But cropping the ears actually leaves the dog more susceptible to water and irritants that can easily get into the ear canal, potentially causing deafness. Paying a vet to crop your dog's ears can lead to 1) an unsightly crop job, as cropping is an art form; 2) unnecessary pain; 3) potential harmful side effects. 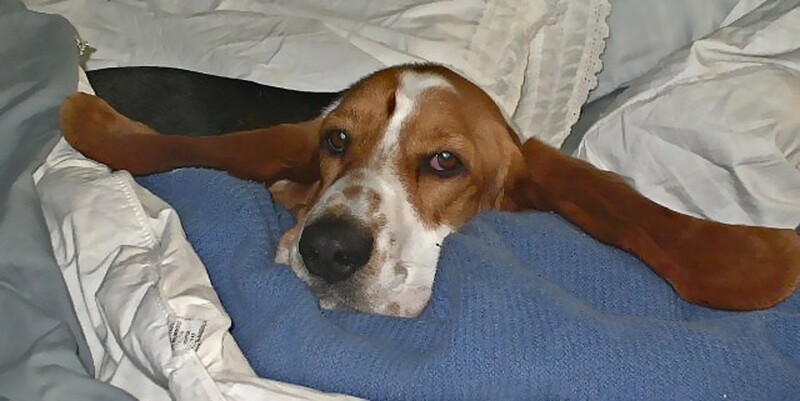 Yes, there have been cases where cropping the ears benefited dogs with chronic ear infections, but other options work better. Cropping your dog's ears will not save you from continuing to have to clean your dog's ears. Cropping should never be thought of as a medical procedure. If your dog has never had an ear infection, or has had only one or two, and your vet recommends he have his ears cropped to avoid infection, you need to find another vet! Medicinal drops or ointment prescribed by a vet. Treatment of the underlying condition that caused the ear infection. Removal of any foreign body that caused the infection, plus an antibiotic. Treatment for mites or parasites. Various homeopathic and natural treatments. If you're looking for an all-natural ear infection treatment, your conventional vet may not have much to tell you, as he went to school for conventional medicine, not alternative treatments. But, that doesn't mean there aren't options. You can help alleviate the pain by using tea tree oil, chamomile, marigold, and myrrh, which have properties beneficial to animals suffering pain, irritation, and inflammation. You can find natural herbs with anti-bacterial and anti-microbial properties, as well. You can also try using apple cider vinegar to clean out your dog's ears, or as a drink. The vinegar will help prevent the infection from worsening. Use about two tablespoons of apple cider vinegar with a cup of water; make sure the dog drinks it twice a week. Another natural treatment for ear infection uses two cloves of garlic macerated in olive oil. Let the mix sit for two weeks, strain it, and put about 2-3 drops of the warmed mixture into your dog's ears until the infection is fully healed. Just remember that if you're not sure, you need to ask a veterinarian familiar with natural remedies. 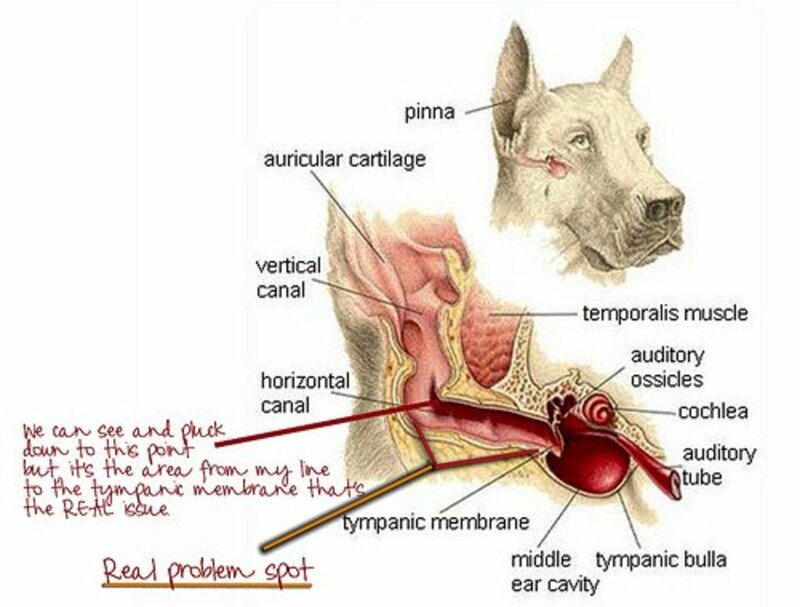 If you know that your dog is prone to ear infections, you need to pay close attention to his ears. You want to make sure that you clean them frequently to remove debris. Apply a good ear cleaner to your dog's ears (one at a time) and massage the base of the ear for about 20 to 30 seconds to soften and release the debris. Then take a dry cotton ball and wipe out the fluids and debris. Keep repeating the procedure until you don't see any more debris being wiped up by the cotton ball. 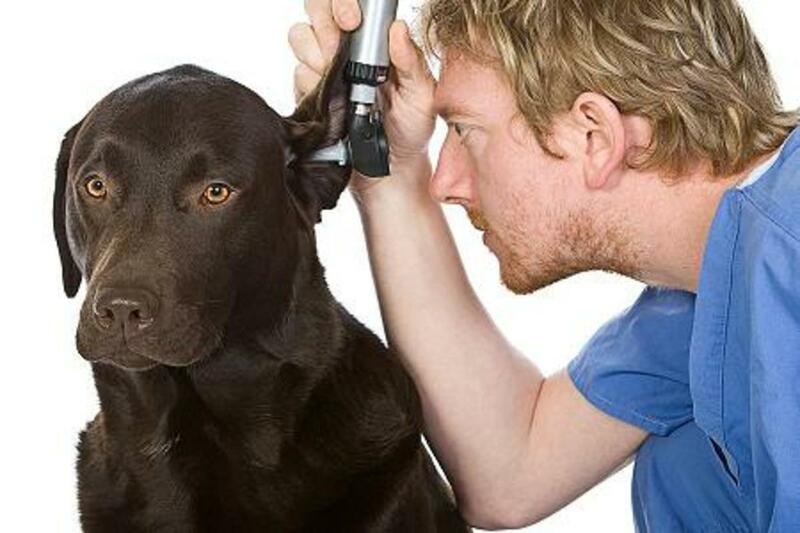 It is a good idea to check your dog's ears at least once a week; it's recommended to clean them as often as needed. Some dogs need their ears cleaned up to three times a week, but each dog is going to be different. 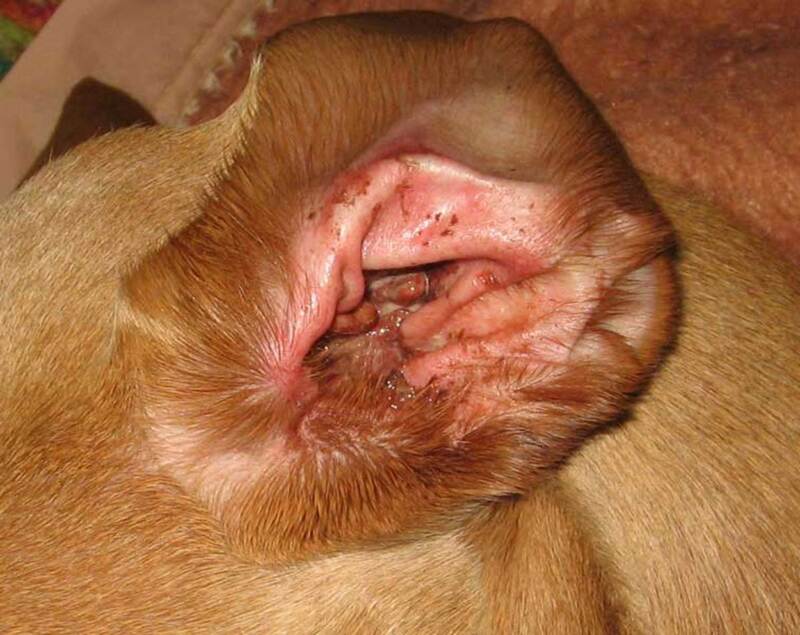 Dogs have L-shaped ear canals in which debris can build up and cause infections. Disclaimer: Please be aware that the advice in this article should in no way replace that of a licensed veterinarian. 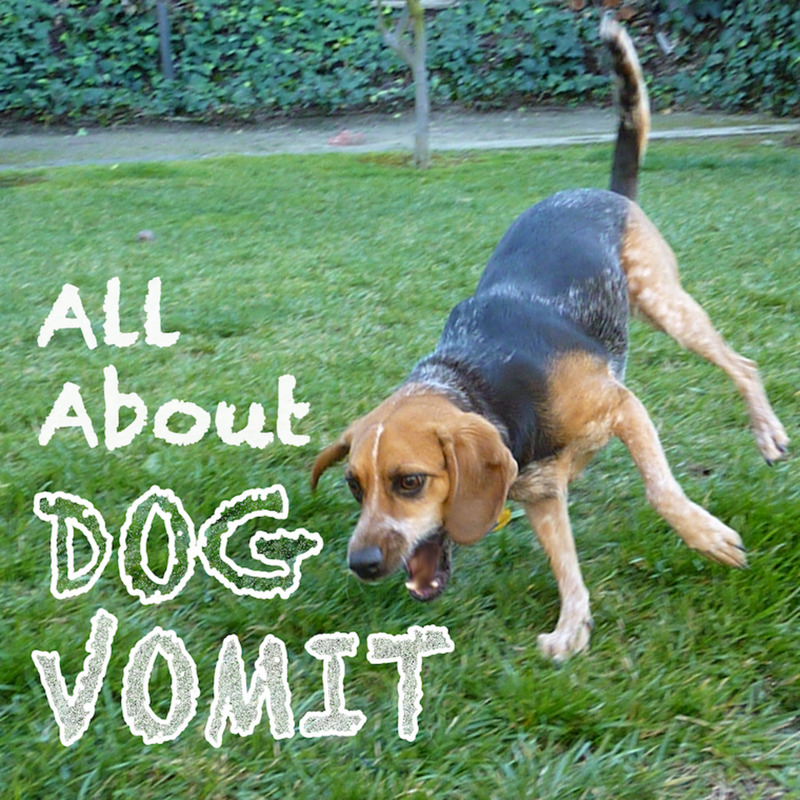 The methods outlined above may or may not work for your pet. If you have any concerns, you should consult a veterinarian. I took them about a month ago to vet and that is what the vet said it was. I have ear drops for them. i have pet ins but it doesn't cover ears being tested. I just really need some ideas or ways I can get this under control. My dog actually had an ear infection a few weeks back and was prescribed some sort of medication, not sure specifically what some kind anti biotic maybe. Anyhow it was a drop that you had to put in their ear. Cleared it up nicely within a few weeks. What a thorough job you have done with this subject. Dogs will appreciate you information. I'm barking with delight! We have a Golden Retriever / Shepard mix. We battled ear mites for months with her. One thing that really helped was a product from R-7 that helped keep the outer ear flaps and ear canal dry. This was a very informative Hub and the diagram of the ear was particularly helpful. We had a Springer Spaniel and allergies and ear infections were a constant battle, even though we cleaned her ears constantly. 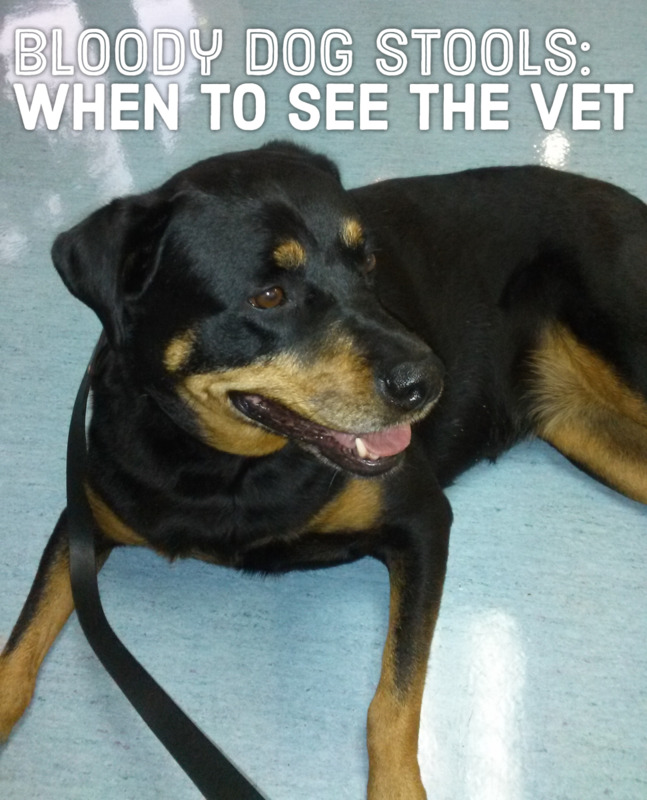 Once they have an infection going you need to take them to a vet. After our experience, I think I'll pass up all dogs prone to ear infections. Good hub. I am surprised that some dogs need their ears cleaned up to three times a week.